One of the perks of being home this spring is being able to enjoy the yard I've created while living nearly thirty years in the same house. Every day something new is emerging from the earth, and when it's sunny, you can be certain to find me working in the yard at least part of the day. It's great therapy when I'm frustrated by my students or other work duties. Since I spent 2011 and 2012 in Italy during the spring months, I missed being able to see my tulips, daffodils, iris and peonies blooming. 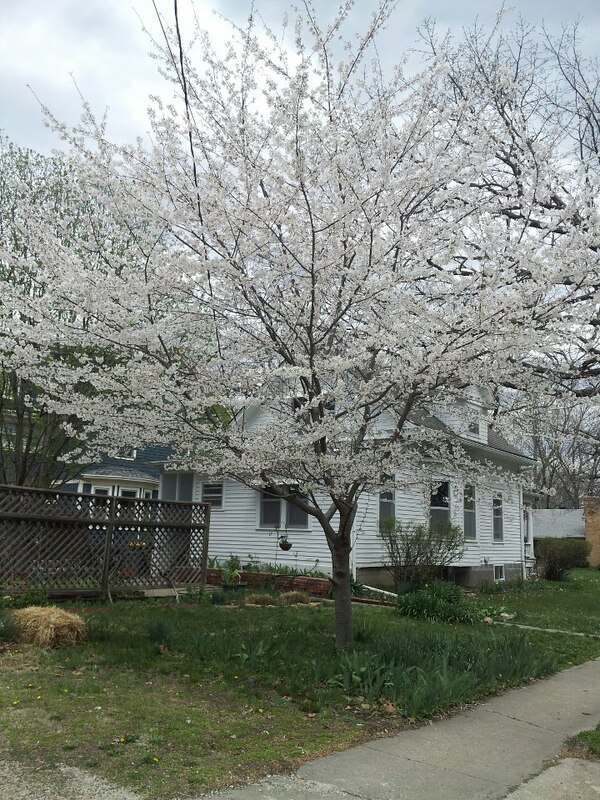 I also missed the spectacular show that my cherry and crab trees put on every year. This year I'm happy to be home so I can witness their beauty. After two years of neglecting the yard, I have a lot of work to catch up on and am re-doing or rearranging several areas of the flower and vegetable gardens. It's a work in progress, ma che gioia !